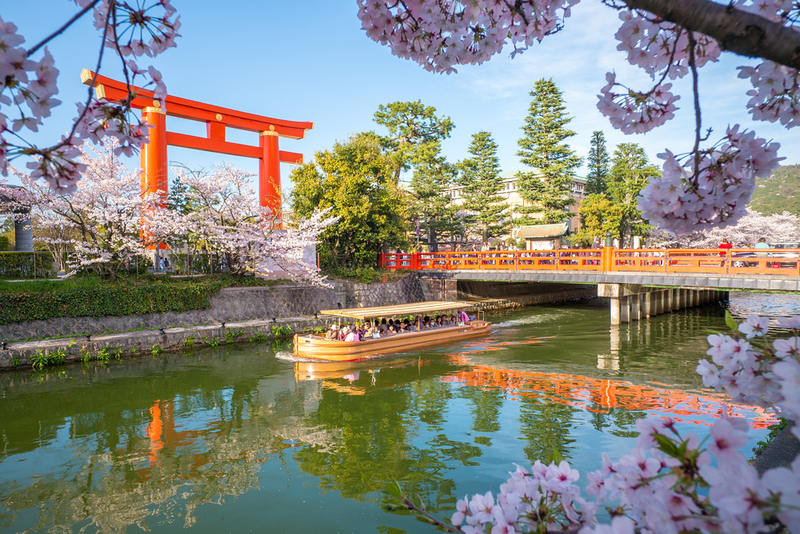 The Northern Higashiyama Area is one of Kyoto’s most important sightseeing districts. It’s less crowded than Southern Higashiyama but it contains at least as many first-rate sights, including fantastic temples, shrines and lots of greenery. 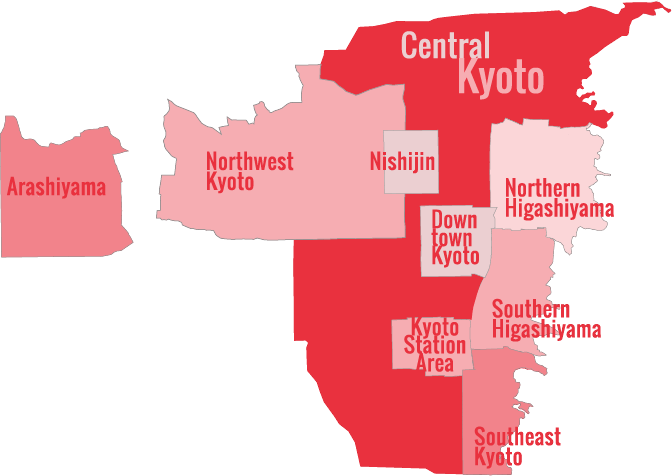 The Northern Higashiyama Area runs along the base of the Higashiyama (Northern Mountains) from Sanjo-dori in the south to Shugakuin in the north. The western boundary of the district is the Kamo-gawa River. The area at the base of the mountains is basically one long strip of temples, while the central area, known as Okazaki-koen, is the city’s museum district. The one-hour roundtrip hike from Ginkaku-ji Temple up to the viewpoint on Mt. Daimonji-yama is the best short hike in Kyoto. The view of the city from here in incredible! Here is everything you need to do this hike. Shinyo-do Temple is a beautiful temple located atop Yoshida-yama Hill. The main hall here is sublime and the ground is dotted with cherry and maple trees. Konkaikomyo-ji Temple, better known as Kurodani, is a superb and rarely visited (by tourists) temple on Yoshida-yama Hill. This small temple in far Northern Higashiyama packs a huge punch: It’s got two incredible gardens, some fine Buddhist artwork and even a small bamboo forest reminiscent of the famous one in Arashiyama. Bishamon-do Temple is a beautiful temple just over the Higashiyama Mountains from Kyoto in the suburb of Yamashina. It can be reached by train and subway, or by hiking trails from Nanzen-ji Temple. Located a short walk from Ginkaku-ji Temple, the Robert Yellin Gallery is a carefully curated gallery of Japanese pottery in a lovely traditional Kyoto house. Daigin Shokudo is a great shokudo near Ginkaku-ji Temple. It serves the standard noodle and rice favorites. It’s a good choice for a meal when exploring Northern Higashiyama. Kyoto Soh-an Café is a great place for a cup of coffee or tea or a light meal when exploring Northern Higashiyama. You can usually get a seat here when the places closer to the temples are packed. Choice restaurant is a great place to enjoy Japanese-style vegetarian, vegan and gluten-free food. It’s at Sanjo-Keihan, very close to Downtown Kyoto. By subway from Kyoto Station: Take the Karasuma Subway Line to Karasuma-Oike Station and change to the Tozai Subway line heading east. Get off at Higashiyama Station and walk north to get to Okazaki-koen. Or, get off at Keage Station and walk north to get to Nanzen-ji Temple and the Path of Philosophy. By bicycle from Kyoto Station: Cycle east to the Kamo-gawa River and then cycle north (upstream) until you hit Sanjo-dori or Marutamachi-dori.